I was finally 'introduced' to Lisa Eldrige last year and right after watching this video, I got 2 of the Bourjois Paris' foundations that she mentioned (Hail, the power of Lisa Eldrige!). One of them was the Healthy Mix Foundation, which I used throughout the year. I really liked it but I was battling with facial drought on and off and because the foundation was pretty matte, it didn't sit very well with my skin. But I will always remember how plump my face felt after removing the foundation so when the Healthy Mix Serum Gel Foundation hit our Watsons, I quickly bought a bottle! Just like the first generation of Healthy Mix, this foundation provides 16 hours of coverage that is light, semi-matte, flawless, undetectable and radiant. Packed with vitamin-rich fruits like lychee, goji berries and pomegranate, it erases fatigue away from the face like it's pencil markings. The foundation comes in a 30ml slim glass bottle, making it pretty handy for travelling though it's a tad heavy. It has a white pump, which turns a little yellowish with age and leftover foundation... Not so pretty but it's not much of a problem if you aren't messy (I ALWAYS manage to get foundation on the bottle!). I'm in the shade N°51 Light Vanilla. It's a tad too light for me but the next shade is too dark and I prefer looking fairer than darker (I do darken the foundation with a little bronzer.). Whenever I'm dealing with liquid foundation, I always use my fingers (Because I'm way too lazy to wash brushes every week.) and I didn't encounter any problems with the application of this foundation. What I do is to dot it all over my face, blend it in and then, finish it off by patting all over with my fingers. The name of the foundation is pretty misleading because it isn't exactly gel but more of a slightly watery tinted moisturizer. It has a light and fresh scent of apricot, and getting a whiff of it puts me on a little happy high. It's probably the nicest-smelling foundation ever. Here, I'm wearing the Healthy Mix Serum Gel Foundation, with a dusting of VMV Hypoallergenics' Illuminants Brilliant Finish (SPF) 25 Powder Foundation. 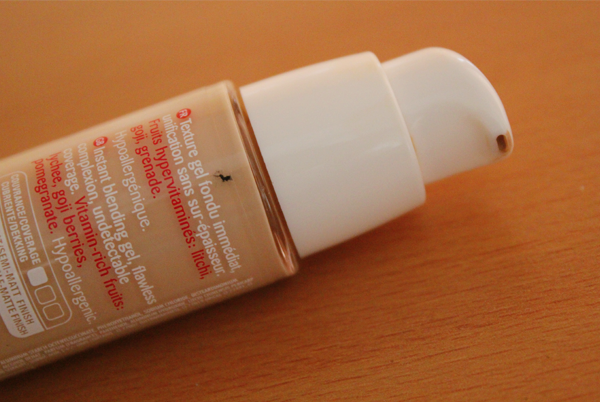 The finish of the foundation is pretty dewy, which I like. 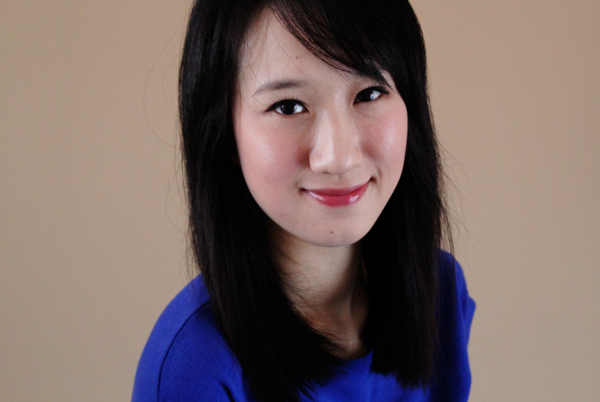 But my T-zone gets oily quickly in our crazy weather, hence the dusting of a powder foundation. Coverage is also rather light. 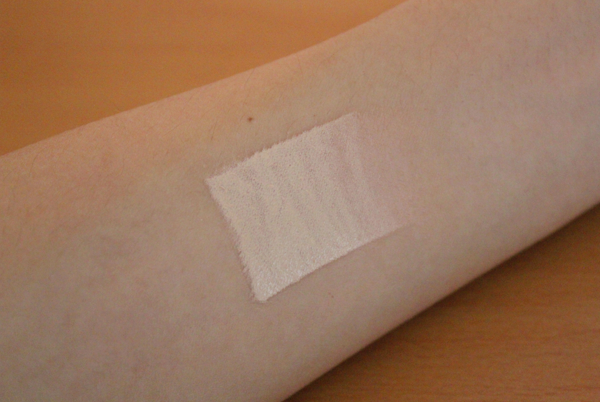 It can hide redness and unevenness but not blemishes (I use Eucerin's DermoPURIFYER Cover Stick on them.). I like that it looks really natural on the skin but because I don't have the habit of applying primers, this flawlessness lasts for about 5-6 hours. Hmm... There isn't really anything that I dislike about this foundation. I mean, hey! It even comes with SPF! But okay, the ingredients aren't exactly 'healthy' because you have dimethicone and fragrances but I didn't suffer from any irritations. It's also a lot more hydrating than the first generation, so that's another thing that I like about it. 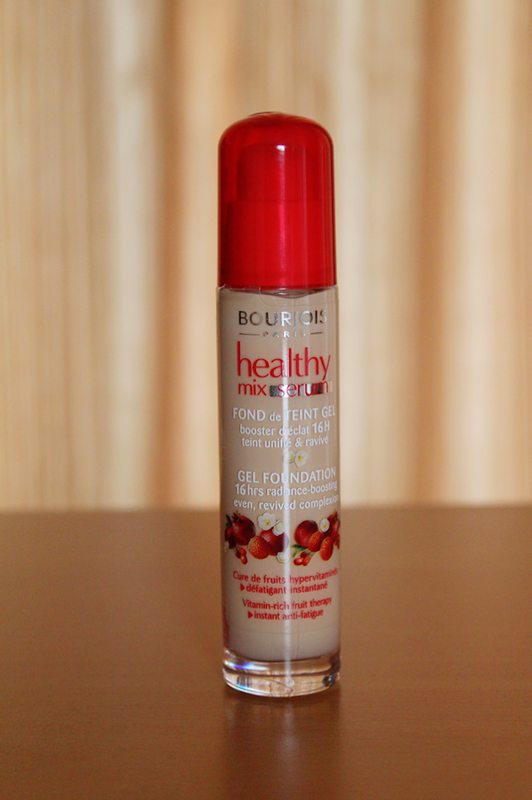 Bourjois' Healthy Mix Serum Gel Foundation will be good for those who are looking for a light and comfortable coverage. For those with acne problems, you may want to steer clear from this because of its dimethicone content (Second on the ingredient list. ), which can exacerbate your situation. Hi (: I think the foundation has been phased out already. :\ Sorry about that!